Our world is pregnant with possibility, despite being suffused with suffering. One of the hardest things for me to do is to wait. And waiting in the midst of hardship can be so painfully cruel. All the time, it seems that we find ourselves waiting. Waiting for an answer. Waiting for a better opportunity to emerge on the horizon. Waiting for new life. Waiting for new love. Waiting for a cure. One of the worst – and easiest – things to do when we are waiting is to grow weary and impatient. We can grow so weary and impatient that we begin to take matters into our own hands when some things are just simply out of our control. As someone who loves to take control and make everything right, resigning to the fact that I cannot make everything good and better and perfect is very frustrating. And so, I sit and wait in frustration. And frustration begins to put in a wedge in all of my relationships, including my relationship with God. It is so easy in the midst of our impatience to forget the promise of God’s providence. God cares for us and loves us in such an incredibly intimate way. We hear this all the time, but do we lavishly bask in the reassurance that God is with us? Advent is a season of return as much as it is a season of waiting. The journey to Bethlehem is a metaphor for our return to God, our acknowledgement that we need God and the gift of salvation that God freely gives us and that we cannot be in control of everything. Advent also invites us to contemplate God as a screaming, crying, vulnerable infant – desperately in need of the love, care, and support of human beings, God’s own flesh and blood. God is not above and beyond us – but with us every single step of the way. God waits with us. When we return to God, we find freedom in the waiting. The waiting period becomes a gestating period. And, together, we can give birth to new possibilities that we would have never before imagined. Because God is with us, the beginning is near! On Friday, October 25th, my plane landed in Washington, D.C. for the weekend of a lifetime. Just a few weeks earlier, the Democratic National Committee had informed me that I had been honored with the privilege of participating as a Hope Fellow in the Fall 2013 Hope Institute. I expected it would be an informative and engaging experience in every way imaginable (I was right! ), but I did not expect to leave Washington, D.C. feeling so at peace with the calling and purpose of my life. Though I left exhausted to my very core, I was exhilarated for the promise of our future. My decade of Jesuit education instilled in me the value of living as a person for others, with others. I have always felt and known that my deepest desire is to live in service of others to promote the common good. But what does such a life look like? I have the audacity to believe – along with so many of my friends – that I can actually make a difference in this broken, but beautiful world. But how do I live to make that difference? My graduate education in ethics has left me constantly thinking critically about issues of social justice with great concern for those whose voices are unheard, for those who live their lives on the margins of civil society. 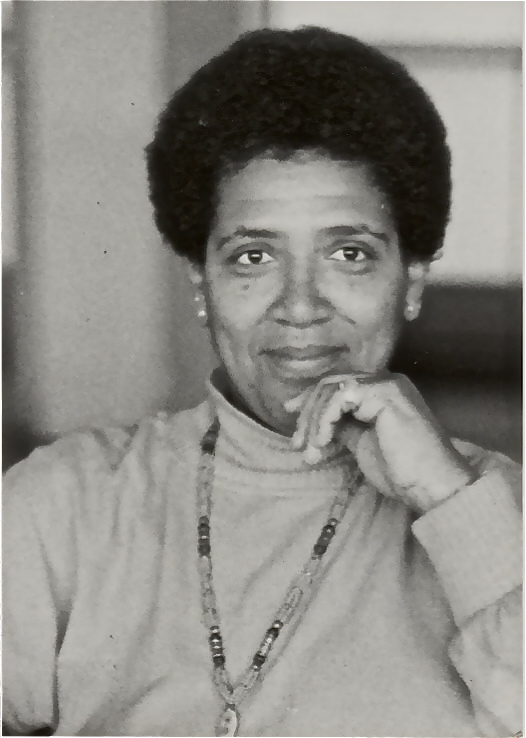 The following quote from Audre Lorde animates my reflection on social justice: “There is no such thing as a single-issue struggle because we do not live single-issue lives.” My graduate education in ethics developed my critical thinking skills surrounding all the issues that are sensitive to people’s lives, including their intersectionality. Critical thinking in order to achieve a good and right response to a social justice concern requires acute adaptability and intentional dialogue with a wide diversity of perspectives. Critical thinking also requires humility and respect. So does servant leadership. My two years in graduate school not only taught me how to be a critical thinker, they also formed me to be a servant leader. And politics is, first and foremost, servant leadership. So, while reading Martha Nussbaum’s Creating Capabilities: The Human Development Approach the other day, the following line spoke to me in a very profound way: “[i]n the absence of action, rights are mere words on paper.” The ethicist may spend weeks writing on human rights, but where is the difference being made? Whose hearts are being changed? Which social systems are being transformed in the here and now? The trite saying is correct: actions really do speak louder than words. Nussbaum goes on to address the function of government as essential to reifying those rights: “[f]undamental rights are only words unless and until they are made real by government action.” Government is good and necessary; it is equipped with the capacity to promote the full flourishing of the human person. And yet, we know all too well that government is not perfect. But that does not mean we should give up on government. Government is not perfect because humans are not perfect. In other words, we have a lot of work to do – and all in the name of humility and respect. Humility and respect are virtues that every human being – not just our elected officials – could afford to acquire. And it is with the deepest of humility and respect (and gratitude!) that I continue to live into the calling and purpose of this one wild and precious life I have been given. I sincerely hope others would do the same. When I first arrived at Loyola University Chicago in August 2007, I had not anticipated that I was about to become a member of an academic community that was so profoundly committed to environmental justice. Just a few months after I began my undergraduate course of study, the Richard J. Klarchek Information Commons opened its doors to the university community as the first digital library on the Lake Shore Campus. Towering just a few feet from Lake Michigan, it offers an unobstructed view of one of the most expansive and beautiful lakes in the country. And even though it’s the ideal place to catch a breathtaking sunrise after pulling an all-nighter during finals week, the Information Commons offers something more. Every inch of the building was constructed with the environment in mind, leading to its silver-level certification from the Leadership in Energy and Environmental Design (LEED) Green Building Rating System, the nationally accepted benchmark for the design, construction, and operation of high-performance green buildings. Since the opening of the Information Commons in 2008, many inefficient, aging, dysfunctional buildings have been razed and a series of beautiful, state-of-the-art buildings have been designed and constructed in their place. Cuneo Hall is one such example, among many others. Because it was designed to match its tried and true neighbors, Cudahy Science Hall and Dumbach Hall, the building looks as if it has always been there. But constructing LEED certified buildings is only one part of a pressing solution that demands global participation. While Loyola has remained committed to building green for over a decade, its commitment to the environment goes far deeper than what its campus indicates. Last Friday, Loyola opened the doors of the Institute for Environmental Sustainability. Once again, the university’s commitment to environmental stewardship soared to a new and unprecedented height; a height that goes unmatched in the city of Chicago and throughout the entire Midwest. The IES will surely draw talent and passion from around the world as dedicated and concerned people come together to collaborate and inspire real solutions to some of the earth’s most pressing problems. As an alum dedicated to pursuing and enacting social justice – which I learned precisely from my four years at Loyola, no doubt – I am inspired by Loyola’s commitment to serve as one of the environment’s most vocal allies, at least among colleges and universities, in the United States of America and throughout the world. At its core, a university functions for the service of humanity, for the expansion of knowledge, and for the pursuit of justice. Loyola has committed itself to this and more by expanding its mission to preserve, protect, and promote the earth and its precious resources. No matter what major one elects to pursue, no matter what career path one chooses, no matter where one studies on campus, every Loyola student will be steeped in the fundamental, deep-seated, critical awareness that the earth’s peril matters a great deal and that every voice, every talent, every contribution – no matter how small – matters. If I could apply to colleges all over again, I would be even more eager to attend Loyola. Yes, it’s a beautiful campus that sits right on the shore of Lake Michigan. Sure, it’s located in a booming metropolis that has much to offer a young student exploring the world on their own for the very first time. It goes without saying that I would want to study at a place where I am not just a number, but actually count as a person. But more than all of that, Loyola is a place of palpable energy, excitement, and growth that is unabashedly invested in the future. And not just its own future, but our shared future – which is to say, the inseparability of the world’s future and the earth’s future. I would choose Loyola again in a heartbeat, without thinking twice. Not because of its name or stature, but because of a distinct ethic that pervades and impacts every commitment of the university, the very same ethic that pervaded my own studies and transformed me into becoming the person I am today. 50 Years After ‘I Have A Dream’: Have We Yet Listened? Martin Luther King, Jr. was undoubtedly the greatest preacher, social leader, and prophet of the twentieth century. His flaws were what made him fully human. His audacious vision and bold tenacity were what set him apart. As we celebrate the fiftieth anniversary of a speech which forever changed the world, I find myself asking the following question: Have I yet listened to my brother, Martin? There is not much else to write. I’ll let the man speak for himself. It would do us all well to listen to his message, to internalize every single word. And it is our obligation to remember what he said. Not just today, but every single day. Every. Single. Day. It’s been fifty years. The truest sign of a prophet is the staying power of their words. And so I must ask: Have we yet listened to our brother, Martin? This meditation appeared on The Huffington Post on 28 August 2013. Last week, I had the privilege of participating in the Human Rights Campaign Summer Institute for Theologians and Religious Scholars at Vanderbilt University Divinity School, which was co-sponsored by the E. Rhodes and Leona B. Carpenter Foundation. As the week began to unfold, one word came to the forefront of our discourse and reflection: intersectionality. Tough questions were posed and tentatively answered. Indeed, no one can ever claim to have the final word on what it means to be human. Human beings are dynamic, not static. And power dynamics shape and occlude our understanding of what constitutes that which is normatively human, having the intentional effect of rendering most bodies outside this constructed, hegemonic schema to be incoherent and invisible. And this is a moral dilemma that ethics must respond to and strive to dismantle. As long as the problem remains unresolved, relationships will remain fractured. And critical and creative reflection on how we are to live and love in right relation to what is good is one invaluable contribution that ethics can make to our morally complex world. Tough questions emerged that were thoughtfully pondered. Tough questions such as: How does one’s experiential/embodied understanding of race impact one’s experiential/embodied understanding of sexuality and vice versa? How does class, ability, gender, etc. inform one’s understanding of the intersectionality of race and sexuality? As I continued to reflect on these tough questions with my new friends, I began to notice an unprecedented feeling of shame emerge. For the first time in my life, I felt the shame of being white. In the past, I have been cognizant of the privilege of being white, but the shame of having access to that privilege – and accruing benefits from that privilege – never came to the forefront of my moral imagination. For the first time in my life, I felt a visceral shame — that my own whiteness implicates me in the injustices that have been waged against countless persons (for countless generations) who are “other” to white in our world. I was feeling more than slightly overwhelmed by my white shame when an illuminating conversation at lunch with Laurel Schneider and Patrick Cheng helped me to recognize that my white shame can, in fact, be channeled in a productive way. For many years, I thought that productive way was to be a voice for the voiceless, to speak out on behalf of those who struggle, to empower those on the margins to claim their right to full flourishing in the human community. But an insight from Laurel Schneider helped me to see that I transgress my role as an ethicist when I strive to be a voice for the voiceless. To quote Rev. Pamela L. Werntz in her recent sermon: “It’s not about what you say, it’s about how you listen.” I believe that my vocation as both a scholar and an activist is to listen. And in so doing, to challenge, subvert, and ultimately dismantle the power dynamics that render those voices on the margins unheard. This I am fully capable of doing, as difficult and taxing of an enterprise as it may be. My role as an ethicist is to use my unique social location as a point of departure for doing ethics and for living for justice. I can use my whiteness and maleness to speak to what it means to be white and male, to whites, males, and to white males. And the good news is that I can still be animated by the work of my womanist sisters, who breathe a vision of justice into the universe that is informed by the intersectionality of race, sexuality, class, and gender. I do not need to “give” my womanist sisters a voice – or anyone else, for that matter; they have always had a voice. But I can speak to the ways in which unchallenged conceptions of whiteness, maleness, and white-maleness, function against the important witness(es) of womanist ethics. My own work in ethics can draw directly from the insight of womanist perspectives, but why stop there? My work – my scholarly and activist voice – can be informed by an abundance of a great many other marginalized perspectives, so long as I vow never to speak on behalf of these communities. After all is said and done, it is not my job to give voices, but to work with all the voices. And to work with all the voices in solidarity. Together, we amplify the noise. La lucha sigue. It’s a tragic reality for nearly eight percent of all Americans. What used to be an expectation for bright, hard working, driven, talented young adults is now a far-fetched hope. Employment is a right, not a gift. And so many people who are reading this post are the unlucky many whose future hangs in the balance of an economy that still privileges profits over people and of a broken political system that still caters to corporate interests rather than to the voices of its own citizens. Employment is a right, not a gift. There is such a thing as the dignity of work. Employment affords the human person the recognition that they are a productive, valued member of civil society. To employ a person is to recognize their deep-seated dignity. Catholic Social Teaching emerged with this prophetic insight, which was articulated in 1891 with the promulgation of the landmark social encyclical, Rerum Novarum. And every Labor Day, the Church continues to speak out on behalf of those whose dignity is affronted by joblessness. But there is also a thing called underemployment, whereby a person must work a job that they are over-qualified for. The job might put food on the table and pay the bills, but at the end of the day, it is just that: a job. It is a tragic misuse of a person’s gifts and talents. It is a settlement for less than your best because the cards have been stacked against you by generations of shortsighted consumption and frivolous waste. Underemployment still means that the odds are not ever in your favor. And sugar-coating underemployment undermines the stark reality of unemployment. Both are degrading, humiliating, demoralizing, and unnerving experiences. To be unable to provide for your family; to be living in a tumultuous space of uncertainty, where all power and sense of agency is stripped away from you. That is what it feels like to be unemployed. And I know that feeling all too well — that feeling of being a little black rain cloud. I recognize that were it not for the generous support of my own family, I could very easily be living on the streets of Boston right now, at this very moment. And all this after two bachelor’s degrees and one master’s degree. The incentive for young adults – who hold the future of our world in their very hands — to get a good education fades away when the prospects for employment are so grim and when student loan interest rates are so steep. And I’m not the only one. So many of my friends are in the same boat as well. Their resilience — our resilience — inspires me. It ought to inspire all Americans as well. To the countless Americans who are unemployed, I have this to say to you. Do not lose hope. You are our hope. In you lies the promise of our future. And as long as your gifts and talents are not being employed for the betterment of our civil society – and in turn, for the betterment of our world – then the promise of our future is lost. This meditation appeared on The Huffington Post on 17 July 2013. 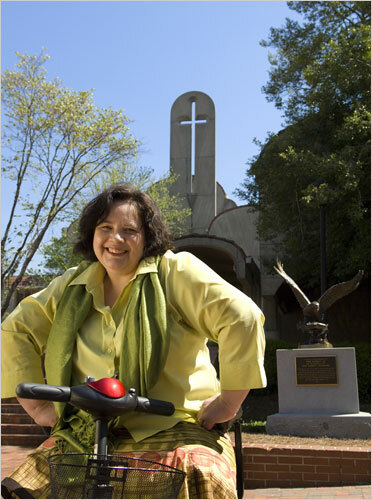 Simone Campbell, S.S.S., Executive Director of NETWORK, stands for social justice. The Jesuits teach it. The sisters are doing it. The pope is preaching it. Martin Luther King, Jr., Dorothy Day, Cesar Chavez, Thomas Merton, Walter Rauschenbush, Harvey Milk, and Robert F. Kennedy witnessed to it. Countless others are living it. So, why does social justice matter? Why write about it? And what difference can a blog about social justice make? It all begins with how one defines justice. Perhaps the most vivid image of justice etched in the minds of many is the sculpture of Lady Justice, which sits prominently outside the Supreme Court of the United States. This familiar sculpture, found around the world, is of an elegant goddess wearing a blindfold, carrying a sword, and holding a balance scale. As familiar as this image may be, it purports to suggest that justice is blind and impartial. And yet, that could not be any further from the truth. The fact of the matter is that human beings are affective, emotional beings. And while all persons are created equal, born with a dignity that is inherent and irrevocable, and have the fundamental human right to full flourishing in community, not all persons are treated equally. If justice is blind and impartial, how can these toxic, relational discrepancies be righted? The pursuit of justice is a social, public enterprise; all members of society are called to participate in a collective project whereby everyone is empowered to live as they have been created to be: fully human. Hence the term social justice. The pursuit of social justice is a massive, sweeping undertaking. Some say that a full and comprehensive instantiation of social justice is far-fetched and impossible. They will assert that sin is so pervasive, that we are all going to hell in a hand basket, and there is nothing we can do about it. We are, in fact, going to hell in a hand basket. If anything ought to convince us of this fact, it’s the disturbing reality of climate change; our earth is in peril. But I believe that there are three things that are essential to realizing social justice: (1) experience; (2) judgment; and (3) action. Experience requires that we are aware. Experience requires that we listen. Experience requires that we take it upon ourselves to be attentive to the needs of others. And experience requires that we are open, humble, and available to undergo ongoing moral conversion. We do not live in a bubble, but in an interconnected and incredibly small world. Judgment requires that we think critically about what we experience and understand. Judgment requires that we make a decision about what we understand and experience that is motivated by love. The greatest threat to realizing social justice in the here and now is lazy thinking that is not driven by the universal call to love. Jesus Christ taught every human being that the greatest moral imperative is to love one’s neighbor (Mark 12:31). But love requires risk and vulnerability. The price to pay when we fail to love because we are afraid of taking a risk and because we are afraid to be vulnerable is just too costly. We also do not live in a black and white world. Everything is grey, nuanced, and complicated. Judgment requires prudence. Judgment requires that one’s conscience be unshackled from fear. Action requires that we realize our potential to act as moral agents. Action requires that we work for change and transformation. But more basic than all of that, action requires a deep-seated attitude shift in our hearts and minds. And this deep-seated attitude shift is required especially of persons of power and influence. Social justice lobby groups need more committed members who bring talent, dedication, passion, and financial resources to the table. Becoming involved with visible social justice lobby groups like NETWORK is an important first step in acting for social justice. An example. Environmental justice is not just about making a building greener. It’s not just about recycling, reducing, or reusing. While both are fine and good practices at the micro-level, environmental justice at the macro-level is more about wresting the political power from the impersonal, profit-driven, corporate interests of big business in order to invest in better, more efficient energy resources that are easier on our earth. We the people need to make our voices heard. Social justice lobby groups like the Sierra Club can make a difference at the macro-level and have a lasting impact on public policy if more people like you and me become involved. So, why blog about social justice? I admit that my blog barely begins to scratch the surface; I do not pretend to have any or all the answers. But I do believe that we can make a difference and better our world when we work together and most importantly, when we love together. Social justice begins with the act of love. And love is something that all of us, no matter our upbringing, social location, religious tradition, socioeconomic status, or level of education, are capable of doing. And love is not blind, nor is it impartial. How we love, who we love, and what we love must weigh on us each and every day of our lives. Sound familiar? This is easier said than done of course. But I write to hold myself accountable and I hope that by reading my blog you can be inspired and emboldened to hold yourselves accountable to the pursuit of social justice as well. “Look up!” cried out a lady. She was walking her dog and I was running toward her. I was expecting to see something of the likes of Air Force One, or maybe perhaps some sort of military aircraft flying overhead. But, it was, in fact, just a bird. And not just any bird, but a rare bird. Rare in general. Even more rare for the city. I ran past the lady, but she kept talking to me. Other runners whizzed past her at a great speed, not even giving her the time of day. I felt awkward and so I stopped, if but only for a minute. “There are three of them,” she observed. Sure enough, three of these birds began gliding through the air, circling each other, flying fast and low, and then soaring up once again at a high altitude. The lady had interrupted my run and I wanted to promptly pick up from where I had left off. But she would not stop talking. And runners continued to race by, casting their “I-told-you-so” glances at me. But I couldn’t just leave her now. She began to tell me of her love for birds. How much she appreciates the outdoors; how she loves to simply listen, look, and marvel at the life teeming around her; how she fears that runners miss the gift of nature when they run around the reservoir with their earbuds in. And as we parted ways, I recognized a change take place within me. It was as if the scales had fallen from my eyes and my ears were opened. As I made my second lap around the reservoir, I noticed yellow flowers growing along the side of the path that I hadn’t noticed before; I heard the water lapping rhythmically against the rocks that I hadn’t heard before; I smelled the fresh fragrance of new spring growth that I hadn’t smelled before; I discovered geese snapping plants with their bills that I hadn’t discovered before; I saw the sunlight scintillating off the water that I hadn’t seen before. I could see. I could smell. I could feel. I could hear. I could appreciate. And in the distance was Boston College: the pride of Alumni Stadium; the majestic tower of Gasson Hall; the gothic beauty of Bapst Art Library. All of this brilliantly set against the sky as a remarkable university on a hill – a place that has challenged me in unforeseen ways and supported my own development and formation as a person of the world, for the world. As I approached the lady again, I thanked her. For she had reminded me how to pray. She had recalibrated the very core of my being. When we encounter another human being, they most surely make a claim on us. We are invited into relationship with them, as fleeting as that relationship may be, as lasting as its effects may be. And how sad our world will become when we stop seeing, when we stop listening, when we stop paying attention, when we stop learning from each other. Before I knew it, what was initially supposed to be a 2 mile run became a 7 mile run. I couldn’t stop; no, I didn’t want to stop my run. The brief exchange with the woman – and my subsequent re-awakening – had given me exactly what I needed to carry on. Admittedly, over these past few days, it has been nearly impossible for me to pray. Yes, me. The graduate student of theology; the baptized follower of Jesus Christ. It’s not because evil events like what happened here in Boston on Monday call into question God’s existence for me. No, far from it. Rather, its because events such as the Boston Marathon bombing have left me speechless in the face of such great evil … and I’m just now beginning to find my voice. If anything, my faith in God has been deepened by this tragic event. When I learned that the bombs were made in pressure cookers that had nails and other bits of harmful objects in them, I could not help but think of the crucifixion. We Christians believe in a humble God, a God who took on human flesh in and through the person of Jesus Christ. Our God could not be any closer to humanity, any closer to the human experience of those who were at the finish line on Monday. God knows what it feels like to have nails tear through human flesh. God knows what it is like to bleed from a traumatic injury. And God knows what it is like to die. Because all of this happened to Jesus Christ, our crucified God. The same evil that was present in the world that killed our God is the same evil that planted those bombs at the finish line on Monday. God is no stranger to evil; God is the victim of it. We Christians also believe in a victorious God, a God who triumphed over death. Evil did not have the last word because nothing can kill God in the end. Jesus Christ’s crucified body was resurrected on the third day. Yes, this is the good news. But, Jesus Christ’s body was forever marked with the wounds of the crucifixion. Victorious over death, our God came back to life, but our God was disabled. Three people have died and many other people’s lives – and bodies – have been forever changed. Many lost limbs in the blast and many others had extremities removed due to the wounds that were inflicted by the shrapnel. These once non-disabled folks will have to re-integrate into a society where disability is “other” to ability… and they will firsthand be denied equal access to the privilege that so many non-disabled people enjoy. 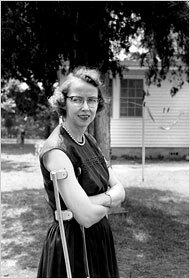 The disabled are stigmatized. And God knows about stigma, too. The glorious, resurrected body is a disabled body that bears the wounds from the cross. And so, together, let us run with endurance the race that is before us. Grace and peace to you all.